The flavors of fall in a hearty specialty dinner. 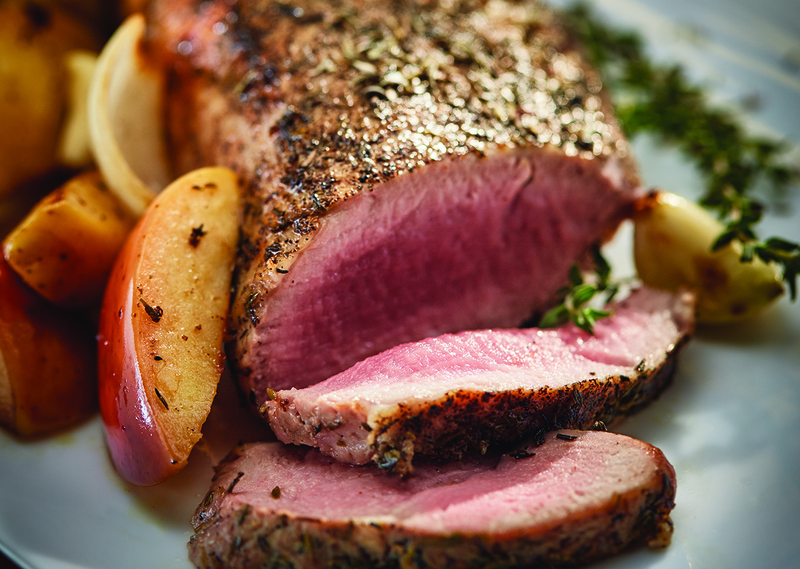 This juicy pork loin pairs wonderfully with flavorful apples, fresh garlic, and fragrant thyme. Serve with roasted sweet potatoes seasoned with cinnamon and cayenne pepper for a complete autumn treat. Preheat the George Foreman® Contact Roaster. Rub surface of pork with thyme, salt and pepper. Place pork in roaster. Set timer and cook, covered, 20 minutes turning over halfway through cooking. Add apples, onion and garlic. Cover and cook 15 minutes or until apples and onion are tender and meat is cooked.